Country House in Piemonte, less then an hour from the coast. 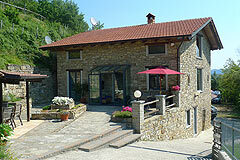 Cortemilia Langhe Hills (ref: 6733)- Charming traditional stone house with panoramic views over the countryside. Piedmont Properties in Piemonte. Property for sale Langhe and Piemonte.